The Most Unique Coffee Tables Ever! I found The Most Creative and Unique Sculptural Coffee Tables and End Tables for Sale! You won’t believe these awesome and very unique coffee tables! But what if our coffee table is also a statue? I Love these Unique and Fun Sculptural Tables! Are you looking for the most unique coffee tables for your home? I am all about fun, cool and unique home furniture! 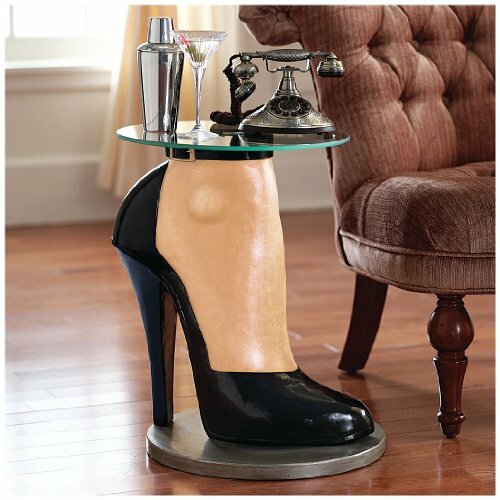 This amazing high heel shoe glass table you see on this picture is definitely for you! I found some awesome and extremely unique coffee tables for your home that are going to blow your mind! I went nuts when I saw all these fun and very unusual glass-topped coffee tables and side tables! There are so many cool choices nowadays! If you like to explore non-traditional living-room decor choices this page is definitely for you! I love fun and unique home decor and I love to see people’s reactions when they see something completely different from the ‘usual’! I hope you have fun here, choosing among my selections of cool and unique coffee tables for your home! They also make an awesome gift idea! 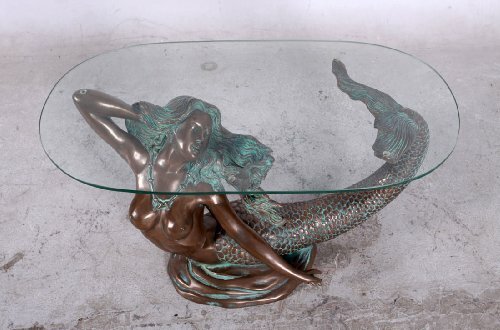 I bet you have never ever in your life seen a mermaid coffee table!! It is definitely one of the most unique coffee tables in the world! This amazing mermaid coffee table is one of the most unique sculptural art tables I’ve seen! It is a very realistic swimming mermaid sculpture made of fiberglass with a beautiful Verde bronze finish as the table ‘base’! Can you imagine having a ‘swimming mermaid’ right in the middle of your living-room? Your guests will definitely say ‘Wow’ when they see it! Keeping the ‘underwater’ theme going a little bit longer check this stunning dolphin, sea turtles and stingray sea world coffee table! 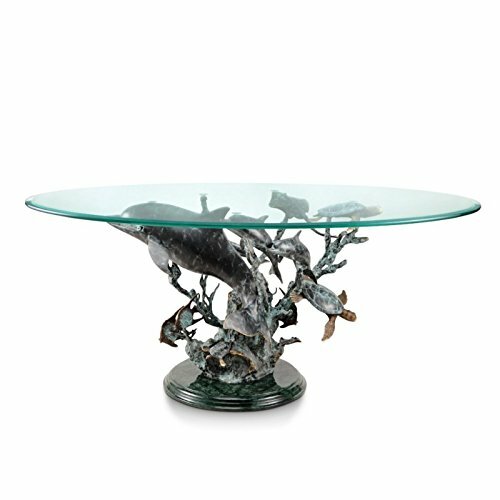 If you like dolphin decor you are going to go crazy with this coffee table! 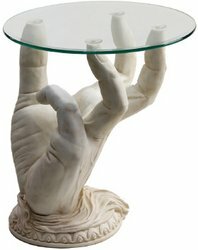 How cool and fun is this hand-shaped glass topped table? It will also make a fun and creative housewarming gift idea! This is one of the cutest accent coffee tables from here! 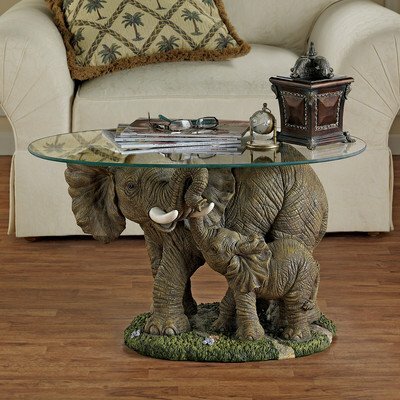 It is a pair of elephants sculpture glass-topped coffee table! It’s actually mom elephant caring for her cute baby elephant! If you enjoy elephant home decor, this is a must-have piece! The elephants are also very realistic! I am also a huge fan of cute animal tables! 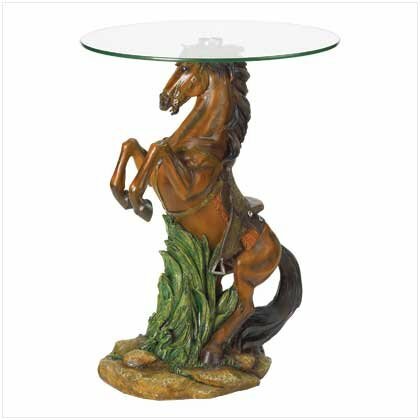 How awesome and exotic is this horse sculpture table for your living-room? One of the cutest glass-topped tables being sold! *The horse statue is beautifully painted and full of details… not to mention nice and sturdy… I know because I bought one for my myself last year and put it next to my couch. 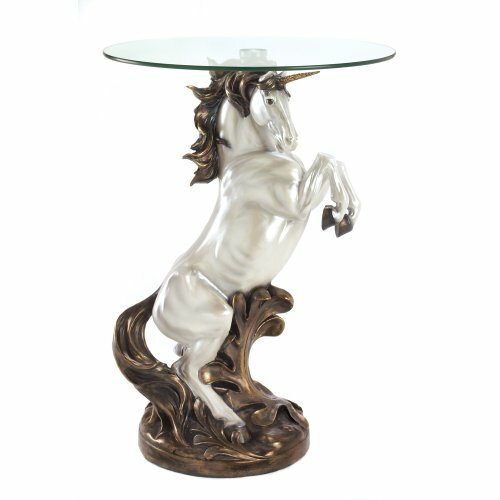 How about a magical unicorn table? Perfect gift idea for any unicorn lover in the family, without a doubt! Will look very beautiful in your living-room! Have you ever seen an aquarium coffee table before? 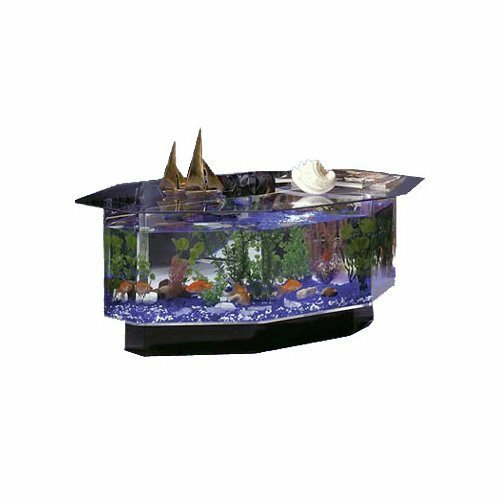 Yes, it is a real gorgeous hexagon shaped aquarium that will serve as the base for your stunning coffee table! Who needs a TV when you can sit down on your couch and enjoy this aquarium? The Most Unique Sculpture Tables for Your Home! Do you love watching sumo wrestling on TV? Are you trying to look like a sumo wrestler? Do you have any sumo wrestlers in your family? 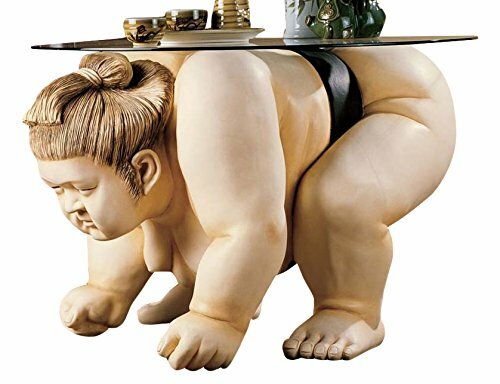 If you answered ‘Yes’ to any of these questions then this incredible sumo wrestler sculpture coffee table is for you! It is such a fun piece to have in your living-room! 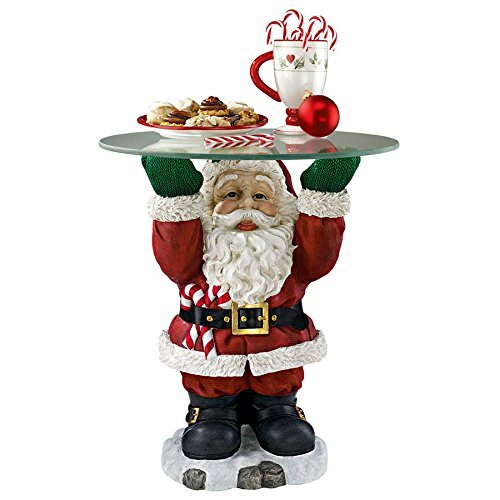 A fun and very colorful Santa Claus sculptural table for sale! How perfect will it be to complement your next Christmas home decor? *I hope you liked my selections of unique coffee tables for sale! Do you want to see more cool tables? Amazing Decorative Tables for Sale!